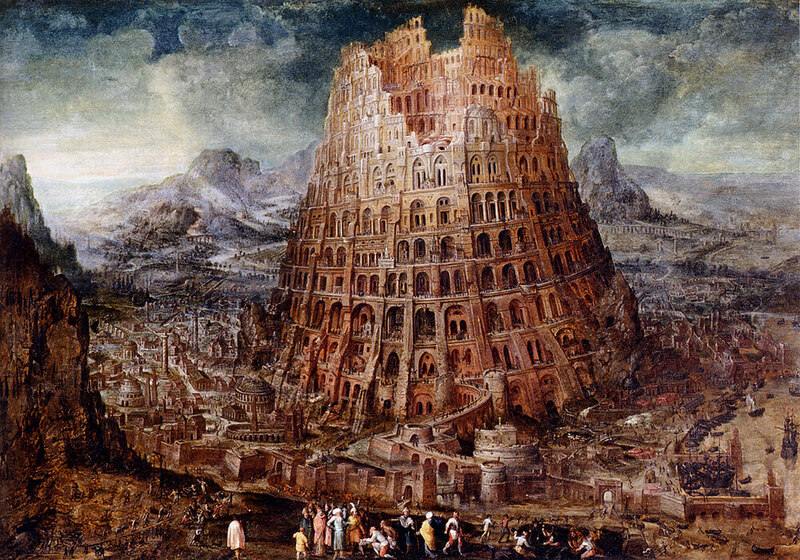 The Tower of Babel is a famous biblical story used to explain the diversity of languages around the world. Whether you are a follower of the Abrahamic religious belief systems or not, you’re probably already familiar with the story. And the LORD came down to see the city and the tower, which the children of men built. According to this account, everyone on the planet spoke one language. While traveling from the East they decided to settle on a plain and build a great tower to prevent from being scattered around. God paid a visit to the city and tower they had built and didn’t like it or the fact that the people were able to do such a thing being unified in one language. So God decided to diversify their one language into many so that groups of people will not understand one another, hence, unable to build great monuments and remain unified. This story is a classic case of showing how a group of unified people are able to achieve monumental goals. This unification is not simply being physically near each other but also involves the ability to communicate with one another. Language is a unifying force and we see this today within cities that have various speech communities where people who speak the same language tend to congregate and live near one another e.g. Spanish, Korean, Jewish, etc. It should go without saying that successful team work is based on good communication – the meeting of the minds. Ancient Egypt is the epitome of the opposite of what took place in the biblical account of the Tower of Babel. Ancient Egypt consisted of 42 /spAt/ (Sipat) called Nomes by the Greeks which were locations of populated territories. These 42 Sipat were divided in the larger Northern and Southern regions as the /tAwy/ (Tawy) “two lands.” These two great divisions were united as /smA tAwy/ (Sema Tawy) “the united lands.” This unification remained for the most part of over 3,000 years. King Namer is credited with the ability to amalgumate and synthesize diversity into a unified society. In order to achieve such a degree of unification and for its lasting affects, there has to be a consistent meeting of the minds among the people. This speaks to communication/language. The language of ancient Egypt became the lingua franca of ancient times, a unified language giving people over large areas the ability to communicate for millennia. We note that the scribes did not document the vowels of the language. Could this be an intentional aspect of the unification of the language? How were discordant languages synchronized? The following is provided to open the dialogue and seek answers on these and other similar questions. If you place 32 metronomes on a static object and set them rocking out of phase with one another, they will remain that way indefinitely. Place them on a moveable surface, however, and something very interesting (and very mesmerizing) happens. The metronomes in the video below fall into the latter camp. Energy from the motion of one ticking metronome can affect the motion of every metronome around it, while the motion of every other metronome affects the motion of our original metronome right back. All this inter-metranome “communication” is facilitated by the board, which serves as an energetic intermediary between all the metronomes that rest upon its surface. The metronomes in this video (which are really just pendulums, or, if you want to get really technical, oscillators) are said to be “coupled.” The math and physics surrounding coupled oscillators are actually relevant to a variety of scientific phenomena, including the transfer of sound and thermal conductivity.